Like most people, you may have suffered from a common cold, headache or muscle ache. And you probably took an Aspirin to relieve the symptoms. But if today’s safety standards had been applied in the 1890s, Aspirin might never have entered the marketplace. Why? Because if a population of lab rats are each given 100 mg of Aspirin, over half of them would die. Correspondingly, it would be assumed that the safe dose for humans is well below 0.1 mg (see section Uncertainty). But over a century of data tell us that humans can safely consume 4000 mg of Aspirin per day. 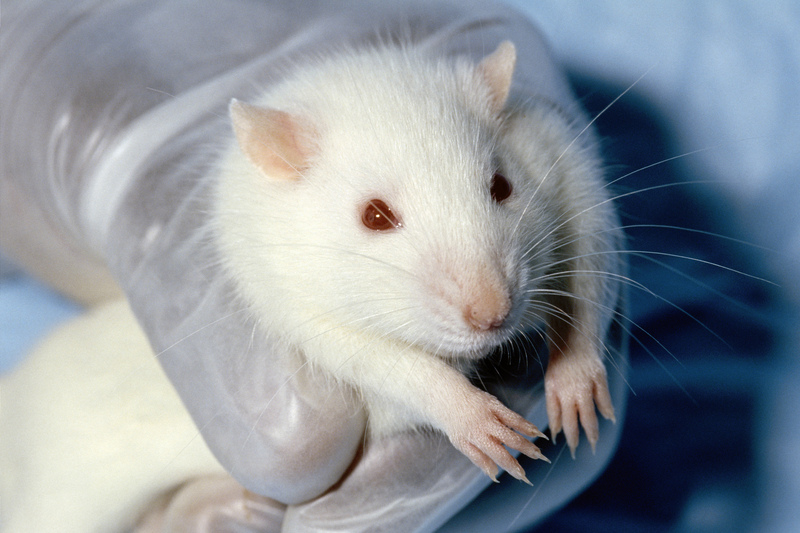 How well do lab animals predict humans toxicity to a chemical? Rabbits and rodents (rats, mice and guinea pigs) correctly predicted human toxicity 43% of the time. This went up to 63% for dogs and monkeys. Dogs are the best predictors, followed by monkeys and rats. Animals could correctly predict toxicity to human skin only 15-30% of the time. This jumped to 91% for blood. In general, animals predicted human toxicity to the digestive system and heart more accurately than human toxicity to the nervous system and liver. This doesn’t seem very encouraging. And let’s not forget, animal testing is slow, costly and, in the minds of many, unethical. Followup: Is the time and money we spend on animal testing worth it? Every year, we spend $3 billion and use 3 million animals for safety testing of chemicals. And we test slowly. For example, it took the Environmental Protection Agency (EPA) more than 5 years to test 65 chemicals on animals. And they were only looking for one effect — to see if the chemicals disrupted hormones. The picture is worse for drugs. The average cost to develop a drug is over a billion dollars, and it takes 11 years. This is mainly because over 95% of the drugs that are found to be safe and effective on animals fail when used in human clinical trials. This is probably not surprising given that most of the animals we test are rodents and we know they incorrectly predict humans over half the time. Dogs and monkeys aren’t much better, especially if you account for the ethics and expense of testing them. How old are the methods used in toxicology? Unlike many other scientific fields, toxicology hasn’t evolved with the times. Many of the standard methods that are being used currently were developed 50-100 years ago. For example, the short-term and long-term toxicity test methods were developed in 1930s and 1940s respectively. Eye and skin toxicity test methods were developed in the 1940s and reproductive and cancer test methods were developed in the 1960s and 1970s. We know a lot more now than we did back then but our methods haven’t changed to reflect this. We currently seek large effects like death, reduced growth, delayed development, cancer, etc. This entails giving animals large doses of a chemical. Humans are rarely exposed to such doses. Even though we know small doses can cause an effect — at the level of the DNA or cell — we seldom test it. We test chemicals because we want to be safe. We are diverse and we show different susceptibilities to a compound. Yet we test lab animals that are inbred, with very similar genes. We also get diseases and show symptoms that animals do not. Several of us our sick and have preexisting medical conditions. Yet we do not account for this in our toxicity tests. We are exposed to hundreds of chemicals in small concentrations on a daily basis, and yet we test high concentrations of individual chemicals. In short, we need to do more to capture human complexities and chemical interactions. We need to move away from traditional methods that only look for big effects, and away from animal testing. We need to use better technologies and generate broader information. And we need to be efficient and cost-effective. There are over 80,000 chemicals in the environment, and we have tested less than 3% of them extensively. If we want to test the rest within our lifetime, we will have to find better solutions. And, luckily for us, these solutions have already been spelled out. My next post will cover them in some detail.